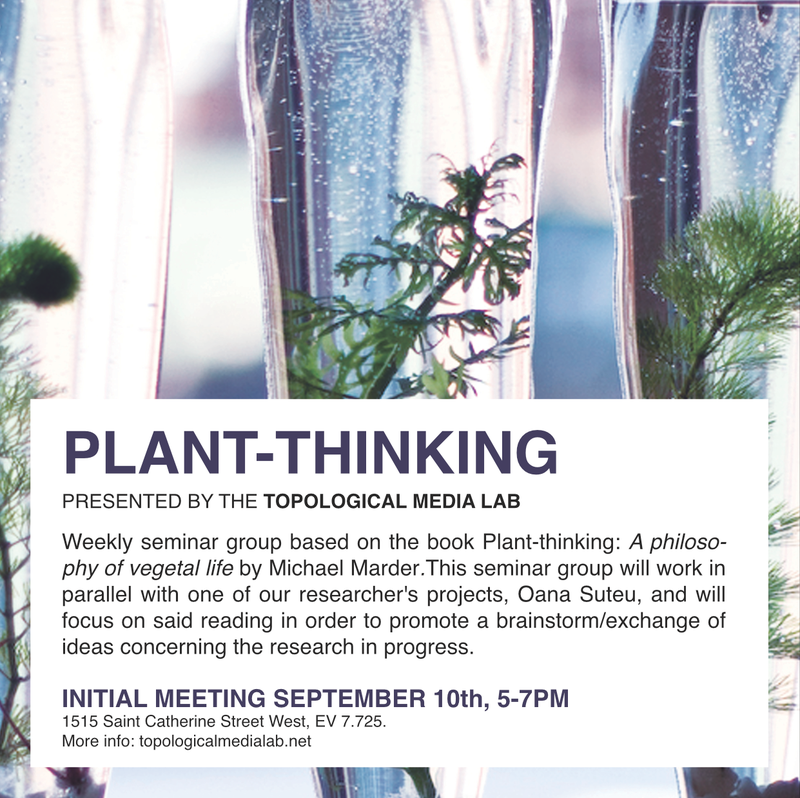 Based on the book Plant Thinking : A Philosophy of Vegetal Life by Michael Marder, this reading seminar is a starting point for discussion and aims at engaging and nurturing a creative community of thought interested in a better understanding of vegetal life. This week, Michael Marder himself will be joining the Plant-Thinking conversation in the first hour of our seminar for a Q&A. the exhibition, To Participate, curated by Mark Clintberg and Erandy Vergara-Vargas.